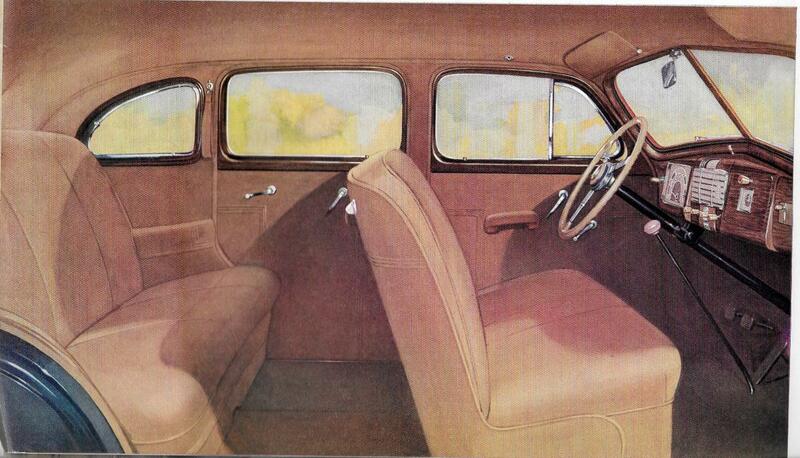 Looks like the '37 Interior handles are around 7:00. 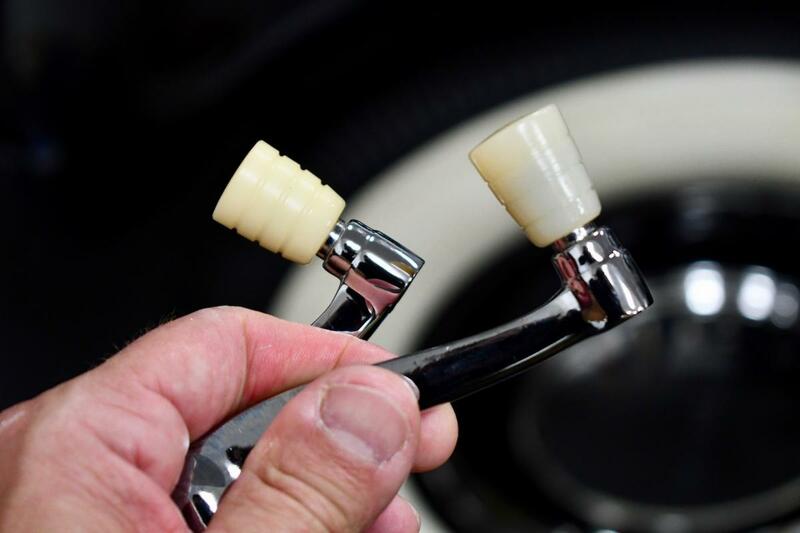 The handles are splined so they can be adjusted, mine are near horizontal to be honest. Since they are splined, I install where comfortable for ME! Due to the photo size thing, I'm going to break tonight into four separate posts to tell the story. This kit came with NO instructions at all. I'll document how I did it, but please remember I am not a professional installer. 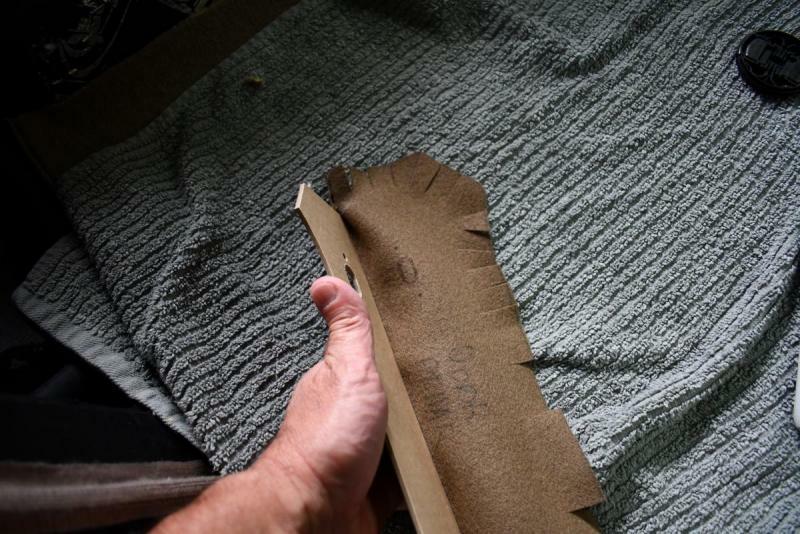 So, the new fabric LBB sent me to cover the armrests is the coordinating color to the 2-LM panel fabric. I didn't order this new fabric, but it's what I'm getting. 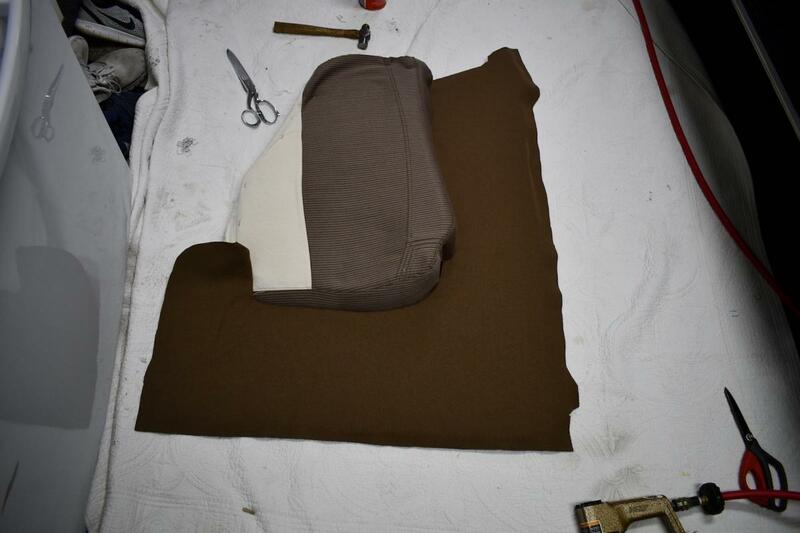 Being this is the final fabric, I was able to finalize the rear quarter panel pieces. 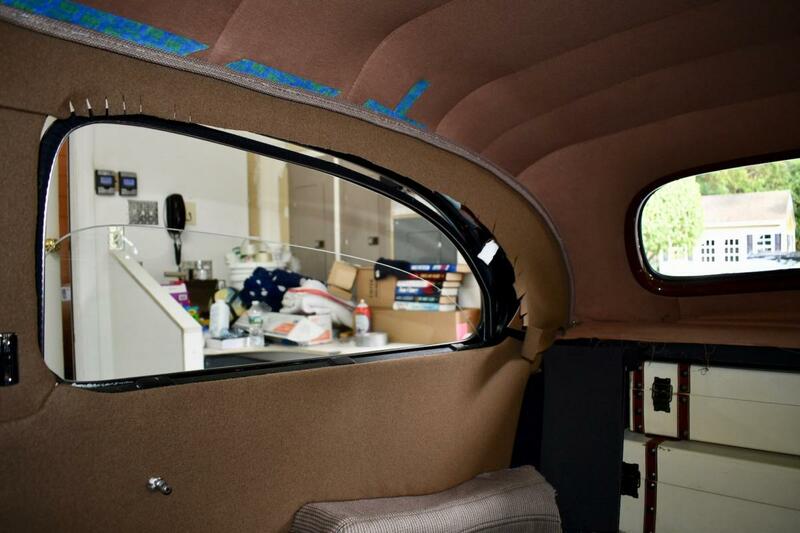 First, I measured and tacked that cardboard-backed fabric around the window opening. 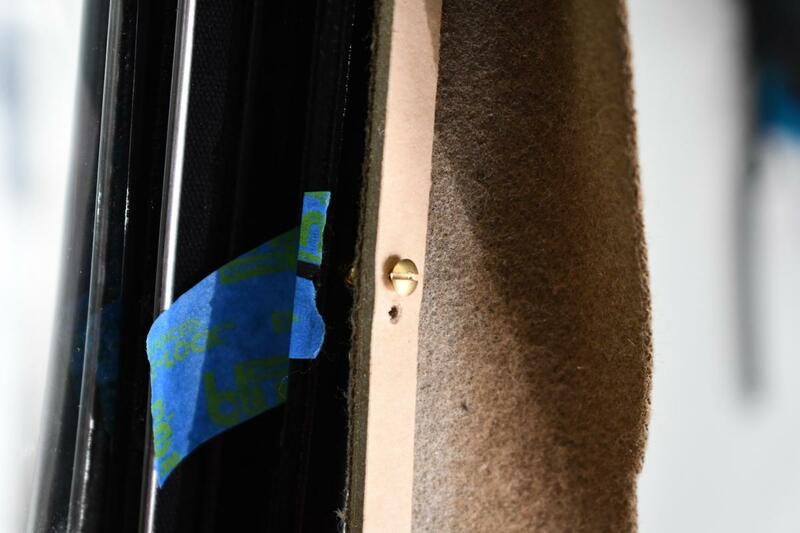 Once it was tacked, and it laid nice and straight, I finalized the installation with small brass screws. The blue tape helps me find the small holes in there when you are working black on black and looking up into the lights. 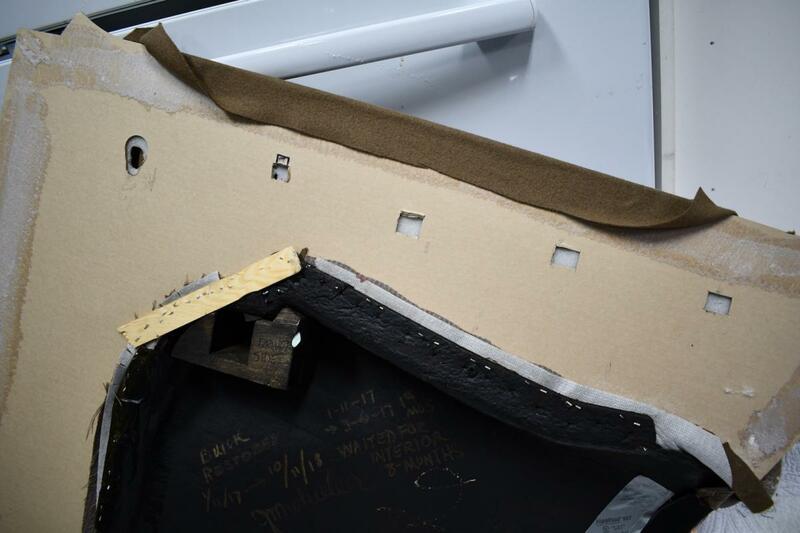 Then I hung the door panel over the internal hook, and carefully started to cut the fabric to allow the door handle studs to come through. 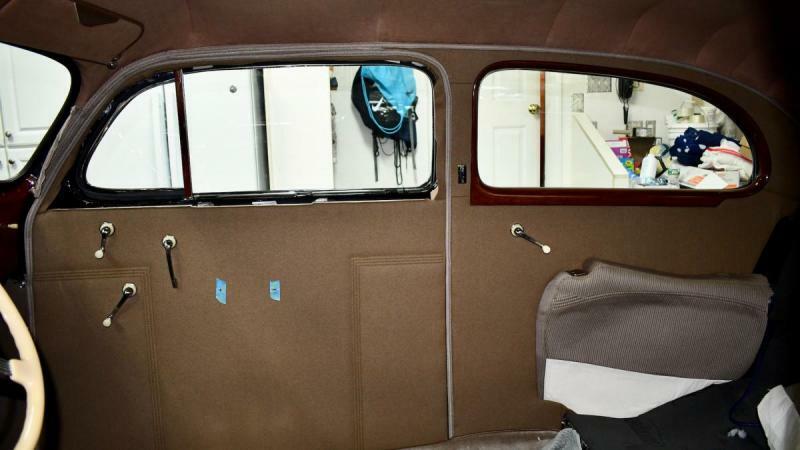 All three exposed and the door panel is sitting nice and straight. I had to push the car outside to install the panel because there is simply no room between the cars anymore. I first clipped in the metal retainer clips into the door skin. 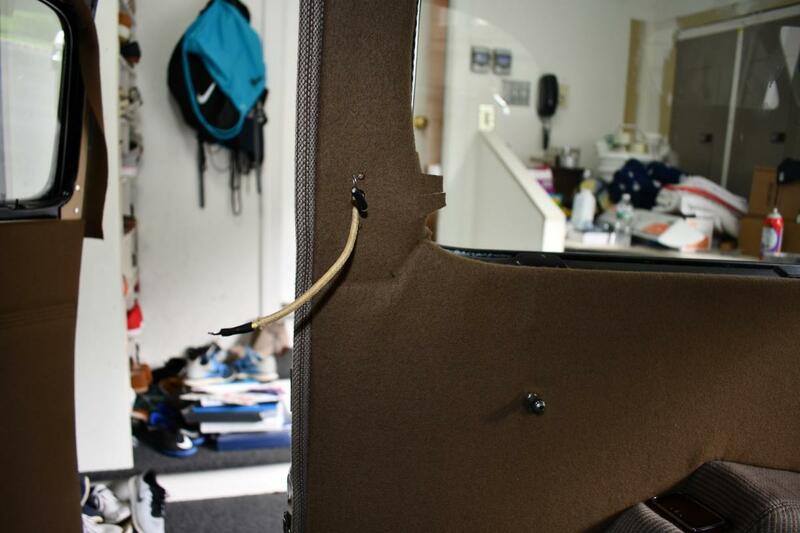 Moving the panel over to the door, hook it again and get the studs to poke through. I went around the entire perimeter either marking where new holes had to be drilled, or shifting the clips around to fit into existing holes. I used a gold sharpie marker to mark the door where the clips line up. Now, with a piece of wood under being the door, I drilled any holes that I needed to to get the panel to sit just right. And pop all the clips in place. Now the fabric pieces are installed. Back to the box labelled " REST OF THE BUICK"
It's nice to know the rest of the car's small parts are in that little box!! 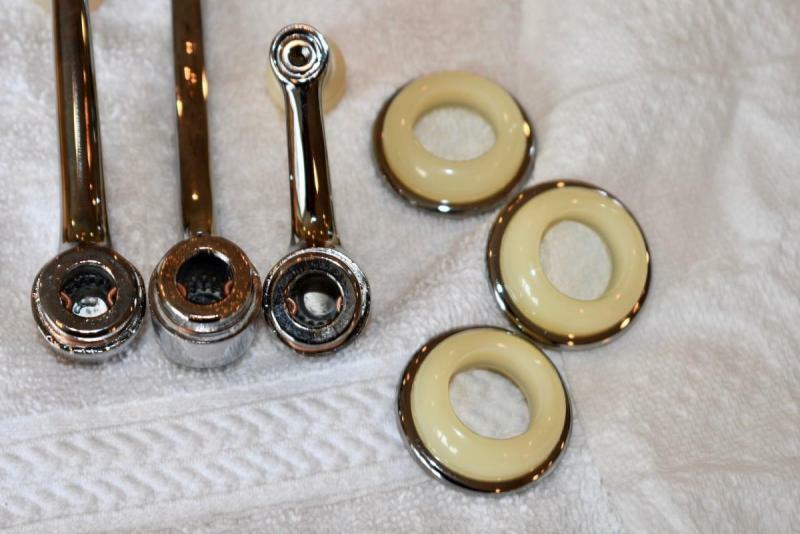 The door handles and chrome escutcheons. I installed all three clips in the handles. You can see them inside the handle. The plastic escutcheons snap in place. 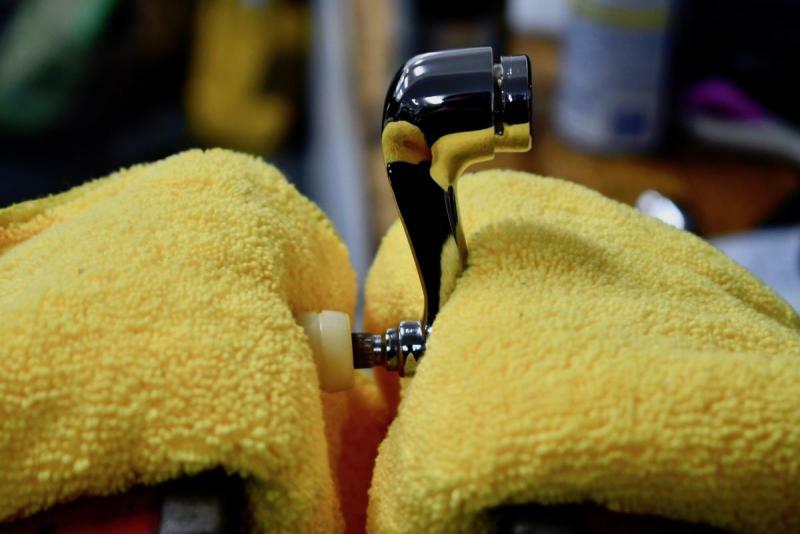 The other knobs don't rub anywhere. And satisfied the door panels are in for keeps... I finally threw away those nasty, smelly things! 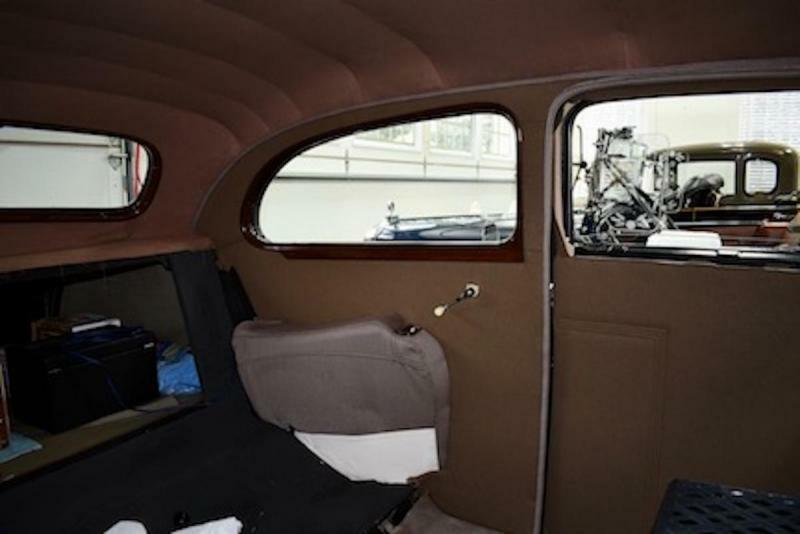 The Model 48 has a dome light switch on the passenger's side pillar. I figured this should line up properly so it was the first piece I installed. I gave the fabric a little tug, and marked the dome lamp mounting plate screw holes and the opening for the switch and wires to come through. Now I have marks to punch the holes open. On the bench, I used a small punch for the holes, and a larger punch to create the switch opening. I had to replace my original dome switch as it does not work any more. I may open it up later and restore it, but for now, this works. 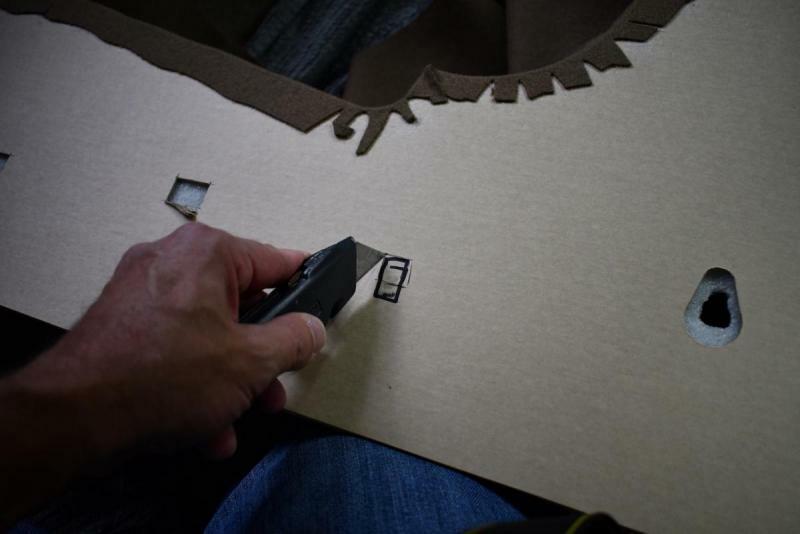 Check to make sure your switch fits through the pre-punched hole in the cardboard first. Mine didn't and it made for a little stress. I ran two screws through the upholstery panel into the dome light switch mounting holes to be sure it's all aligned properly. 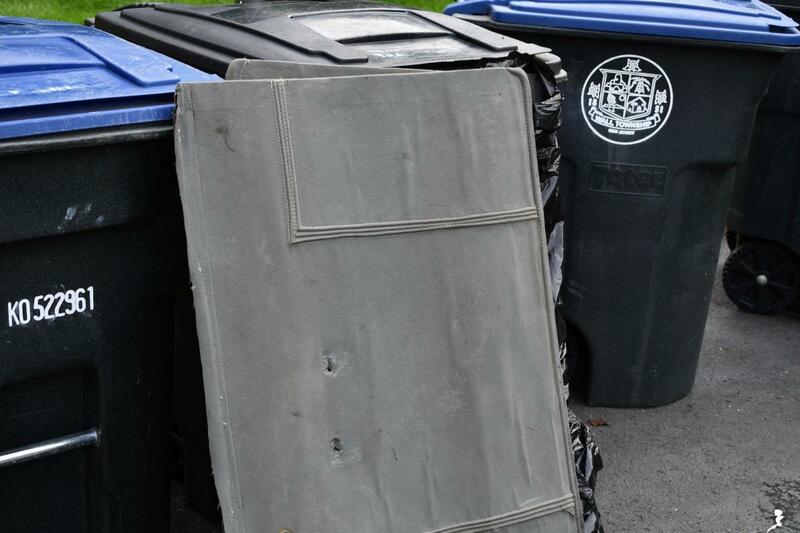 Then, I carefully trimmed the panels where they meet at that angle until they fit nice and flush together. Next, I trimmed a little cardboard away from the window opening so the garnish molding will fit without too much fuss. After carefully trimming the cardboard, I again test fitted everything with the screw holding the pillar panel in place. Once satisfied, it was time to move on to the installation. 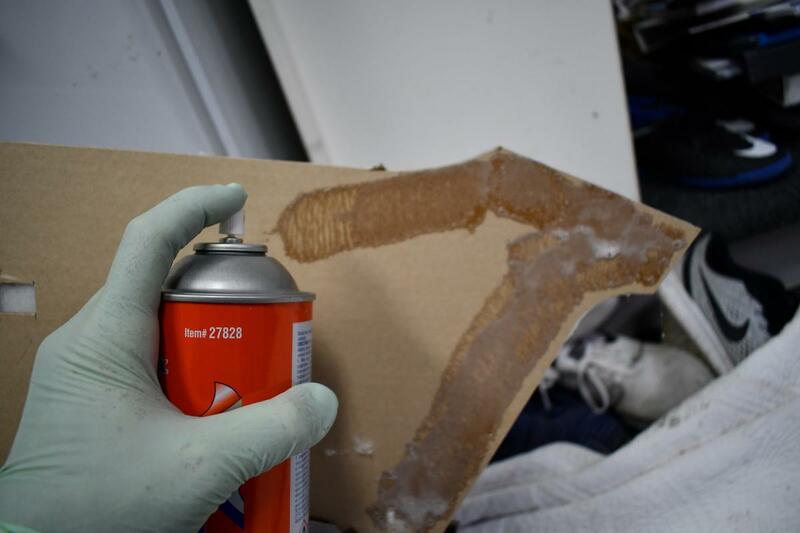 I sprayed a little Permatex Headliner Adhesive to the perimeter of the cardboard that will be in contact with the metal in the car. This is the back side of the panel. Let it tack up for 5 minutes. Now into the car, I again installed the screws to align everything. I cut several releasing incisions and used the "rounded pie" slice technique Ted showed me in a previous post. The fabric with the black dots are the ones I had to push in first to get a good finish on the corners. So I marked them when it was out of the car. 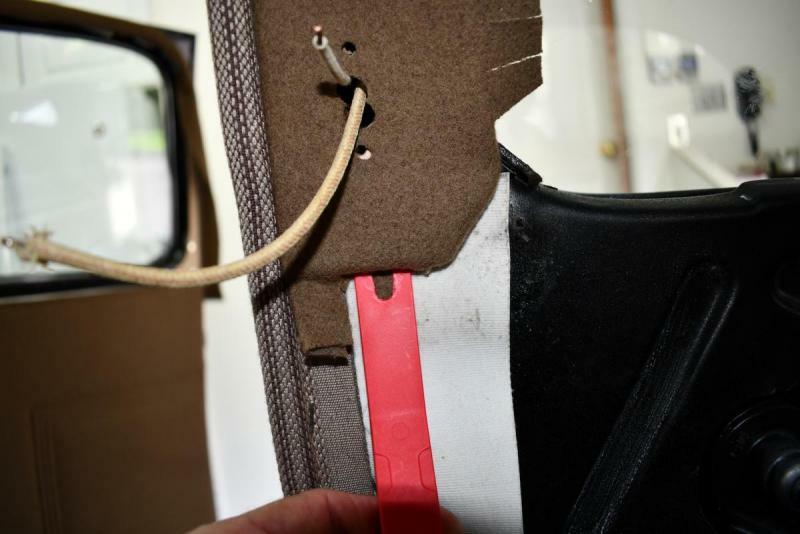 Flapping the fabric back to expose the cardboard, I ran a series of staples into the tack strip to secure the forward edge and the windlace. 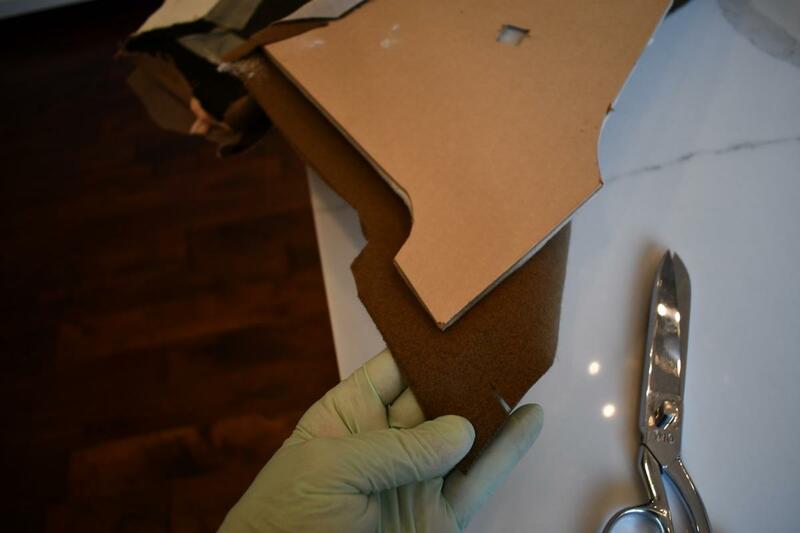 Using a very thin plastic tool, I gently pushed the material up and under the panel. This is why I sprayed the headliner adhesive under there first. 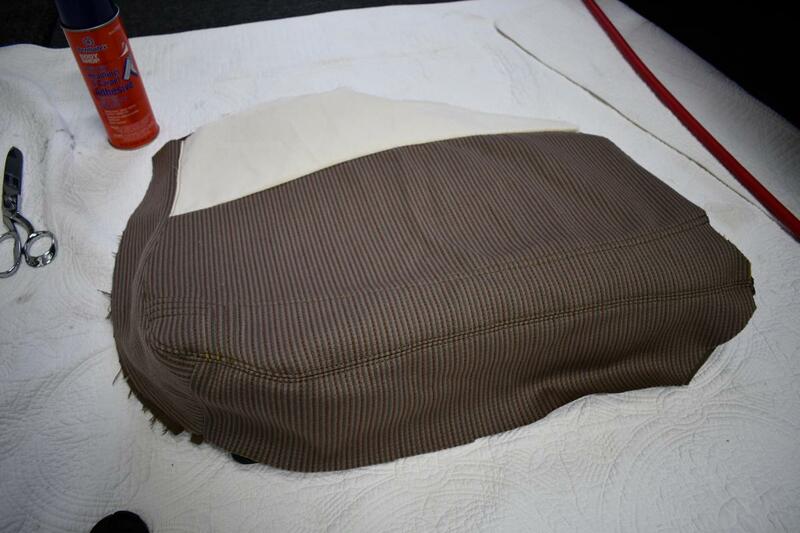 Now the fabric will stay nice and tight, and it was easy to let it lay nice and smooth. 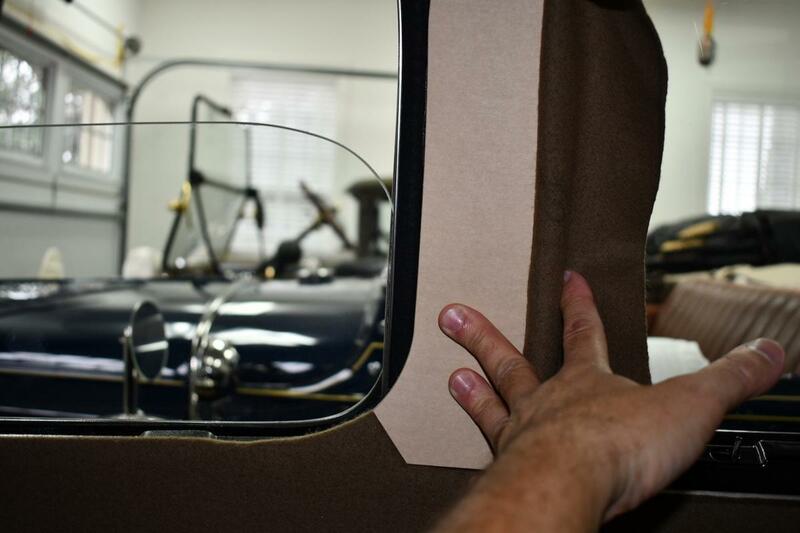 Dome lamp switch plate installed and the panel is lined up to the windlace and the window opening nicely. Next, I installed the lower panel / armrest. I first tacked all that fabric all around the perimeter, again using the rounded slice technique. 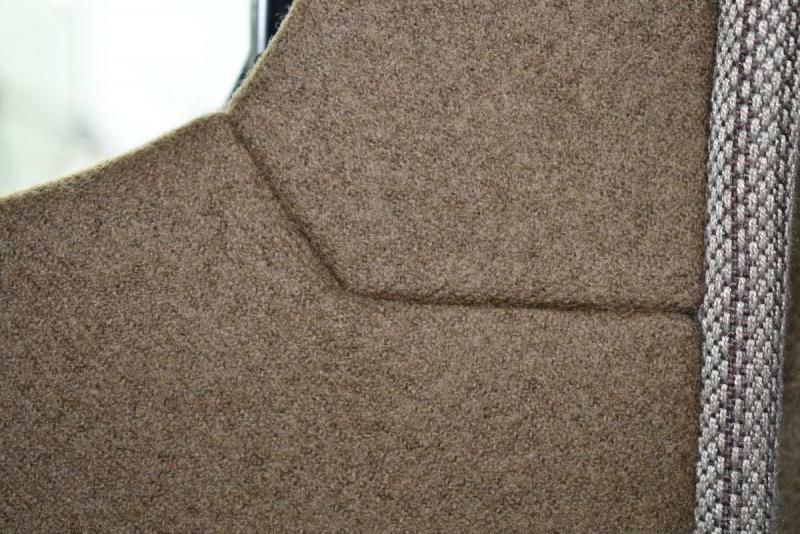 Being I already pre-fit the panels, the seam aligned very very nice for me. This panel hangs onto four hooks in the side of the car, and the armrest has two hooks to hold it. Along the front edge (against the windlace) I tacked in a series of tiny brads, and pulled the fabric over the heads. 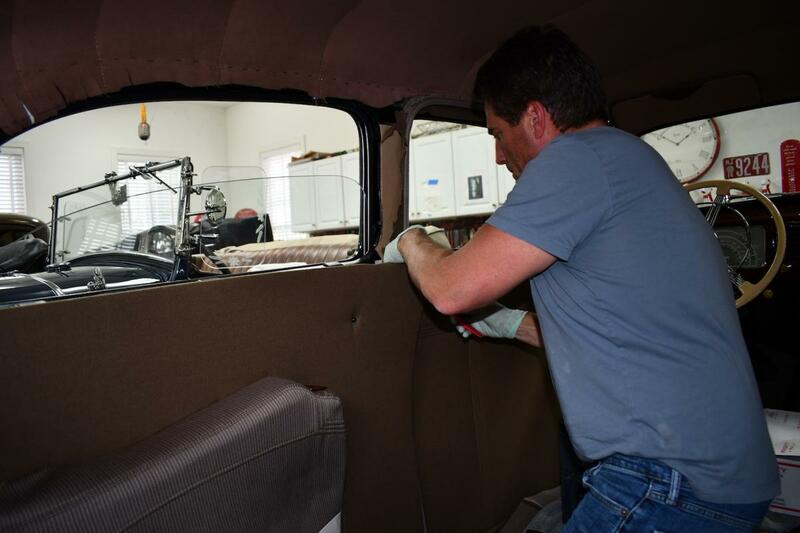 With the pillar panel and the lower panel / armrest installed, it was time to install the upper panel with the headliner welting. I taped along the headliner where the tack strip is located so I could shoot the staples without ripping the headliner or missing entirely! Then I tried the panel in, made the releasing incisions where necessary and took my time aligning everything so the seams look good. These air guns are just great. 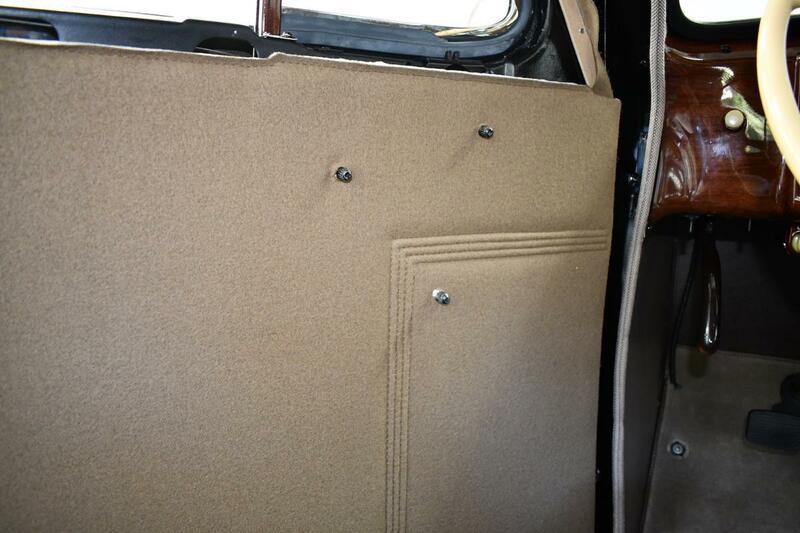 I was using Duo-Fast 9/16" staples to go through the welt, the panel, the headliner and into the tack strip. 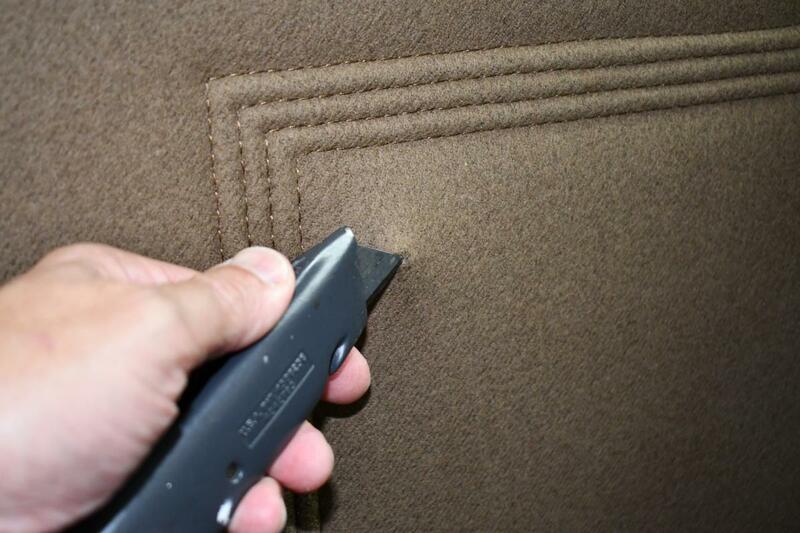 I worked nice and slow, being sure the welt laid in nice and straight without any weird ups and downs. Then I tucked in the fabric just like the pillar panel to give it a nice smooth finish. 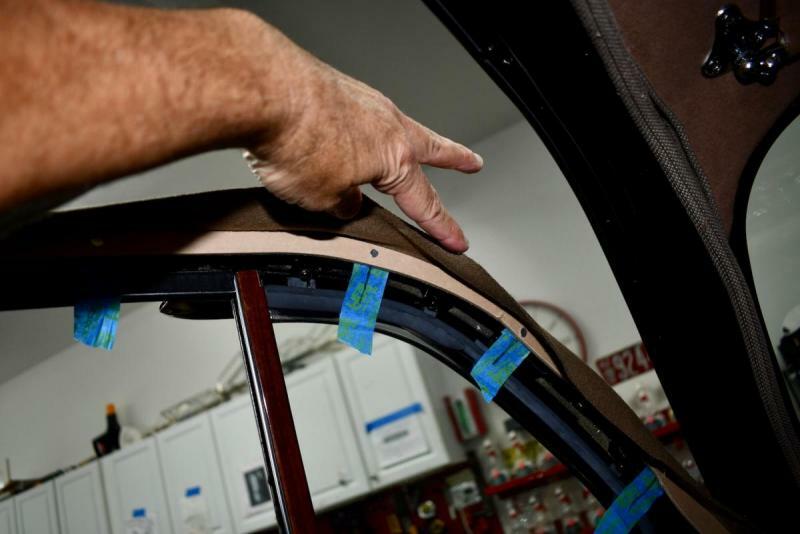 Remove all four screws holding your window felt channel to install the garnish molding. It slides between the two. At this point, I pushed the garnish molding into place. Watch your fingers when that thing grabs the lower sill! The garnish is in, now you have to find your holes that hold the felt channel in place. 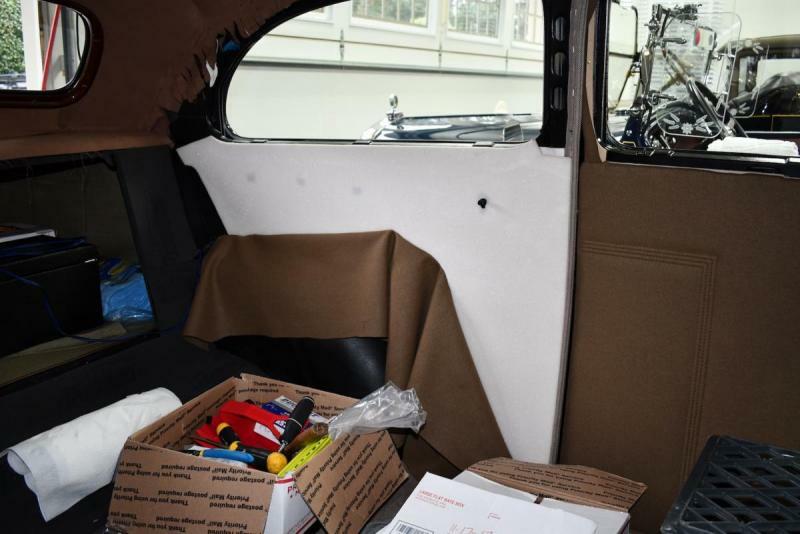 Using a punch, I went through the felt, the garnish molding and into the screw hole in the car. Here is the rear quarter panels. I'm very satisfied with the seams, the fit and finish. 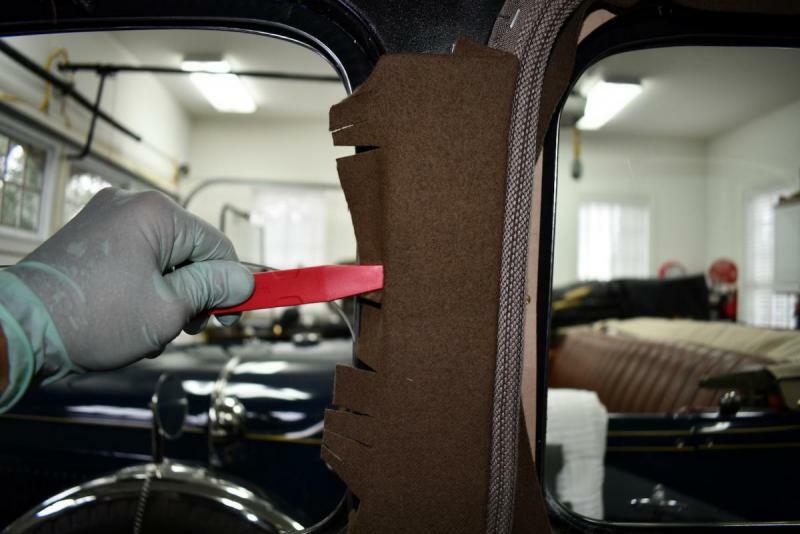 The garnish molding looks great against the new fabric. You see I also installed the window riser handle. So here's the passenger side as of tonight. Going forward, I have to install the welt around the front window garnish molding, and install the garnish molding. Then the windshield garnish. So, still a job ahead. Fantastic! I’ll be doing this soon. Do any of your handles have springs behind them? 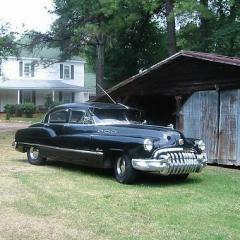 See photo with front passenger door. 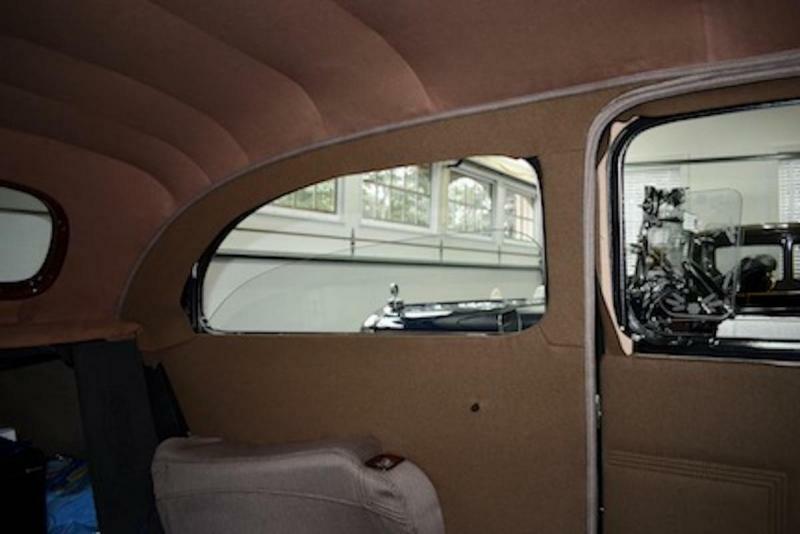 The Special and Century models probably have different front door clearances. The 1939 literature confirms what is on my car. The 1937 may be different. Here's a photo of my left rear door. 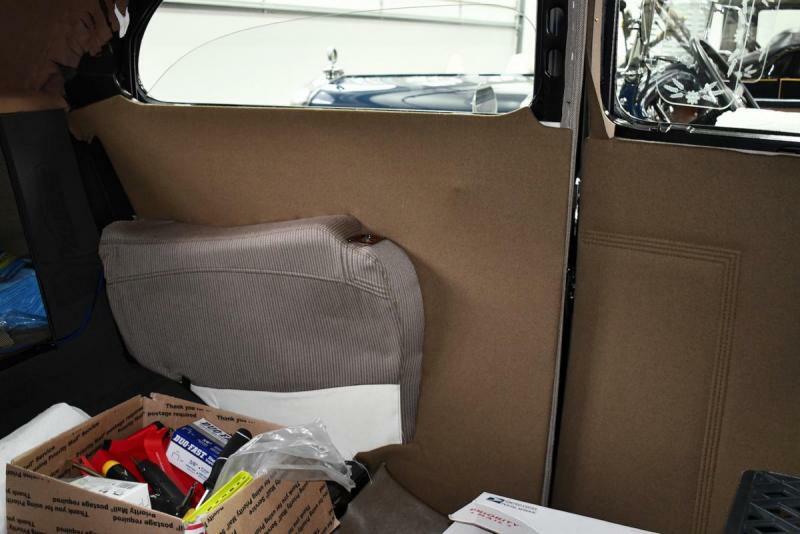 My 39 Roadmaster has an interior kit from the same vendor as yours. 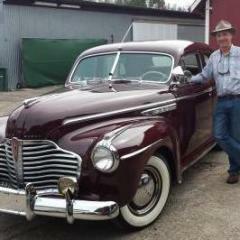 My 49 Super has the original door fabric. 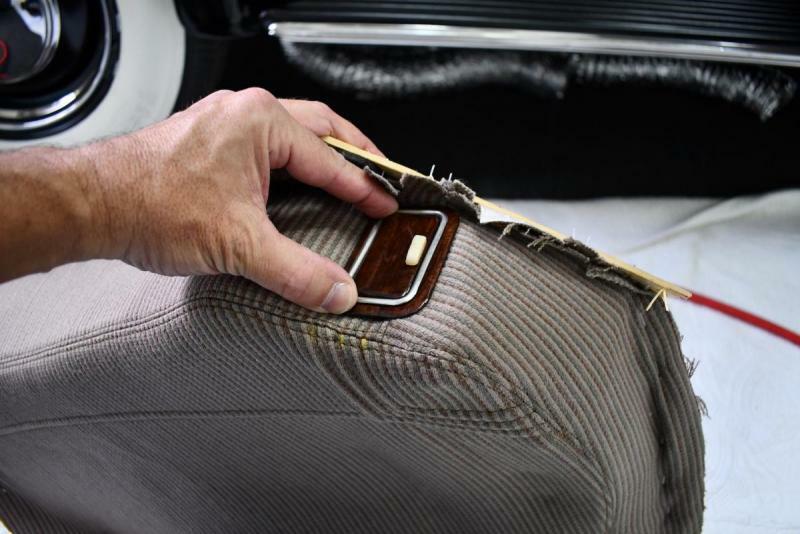 I'd been perplexed for 40 years by a worn through spot below the driver door handle until someone theorized on it. Wouldn't you know, the woman from whom I purchased the car wore a big ring on her left hand. 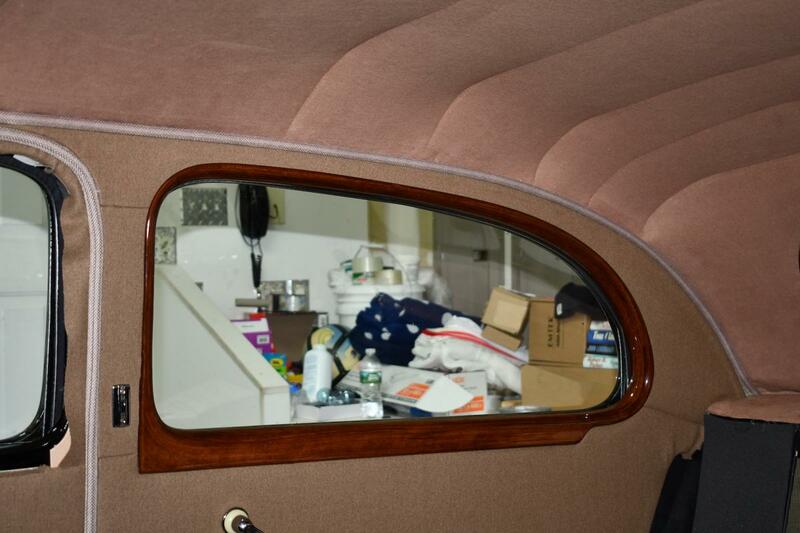 Over the 29 years that she had the car, she wore through the door fabric with that ring. I should know, she gave me the ring nearly four decades ago! Big setting! Gary, I don't know if the door panel is slightly too thick, or possibly not quite seated in that area of the door, or if something is odd about your door handle but I don't think that the handle should rub the door panel. Do any of your handles have springs behind them? Only the window riser handle had a spring behind it. The vent and the door handle did not. 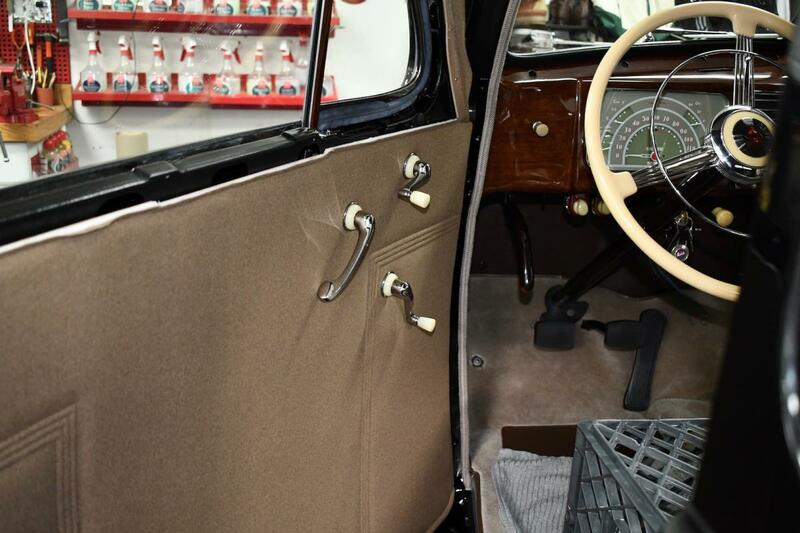 bu﻿t I don't think that the handle should rub the door panel. 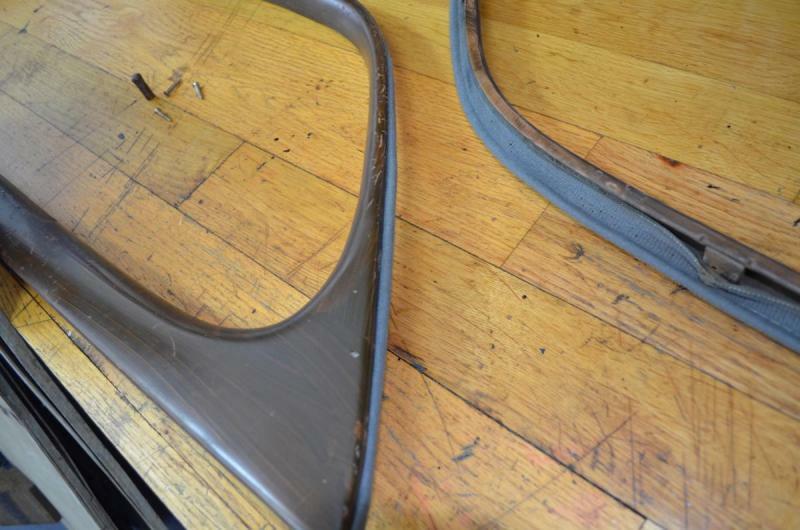 Does your front door garnish molding have a welting attached to it? 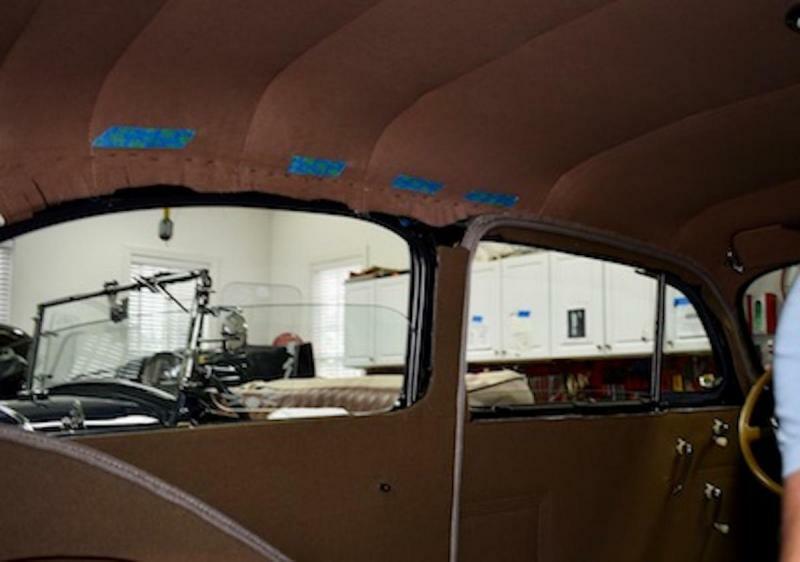 The car had one when I took it apart, but did not have the fabric piece and I 'm wondering if the previous installer opted to not use the fabric, but place a welt around the front, top and rear of the garnish? There was no welt attached to the rear garnish moldings, just the front two. Curious. 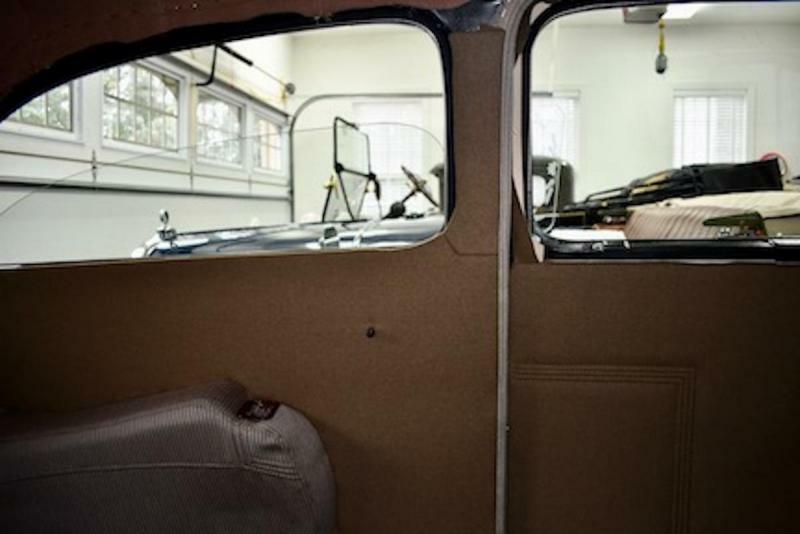 As I was removing the interior in January, 2017: Notice the welting around the forward edge of the door garnish molding. Garnish moldings out and on the bench. This welt was glued to the inside. Just another view of how it was applied. I'm assuming this is correct being that LBB did send two strips of material that I assume is for this. Both are 6" short, but I don't know where else they would be used. 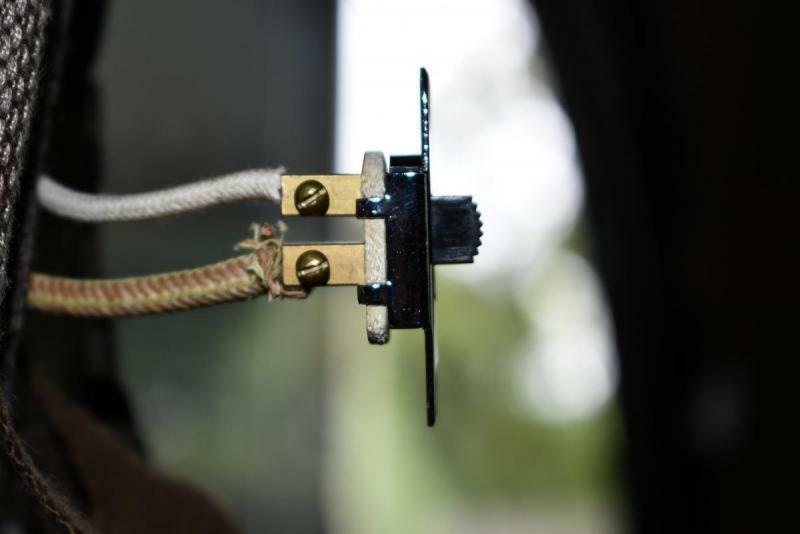 Do all of you handles use the same size (thickness) escutcheons? Mine are 2 different sizes. A thicker one would have the handle just a little farther out. Just tossing out ideas. 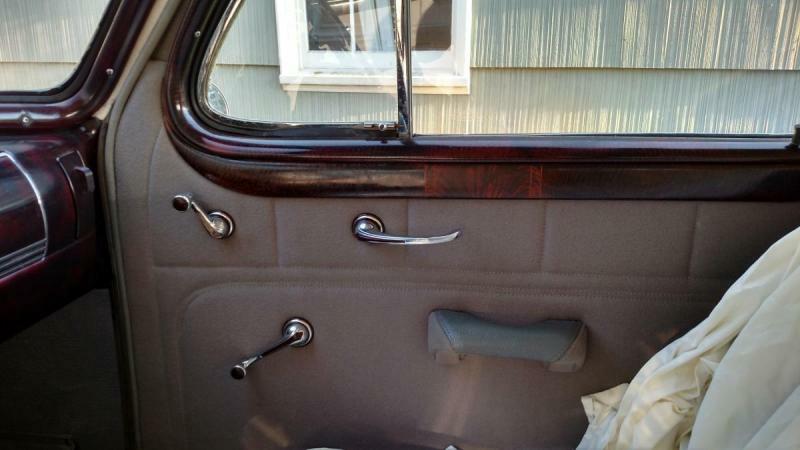 Here are photos that show the inside door handles on the front and back driver side doors on my 1937 Model 61. Ignore the totally worn out eschutcheons around the vent window crank. 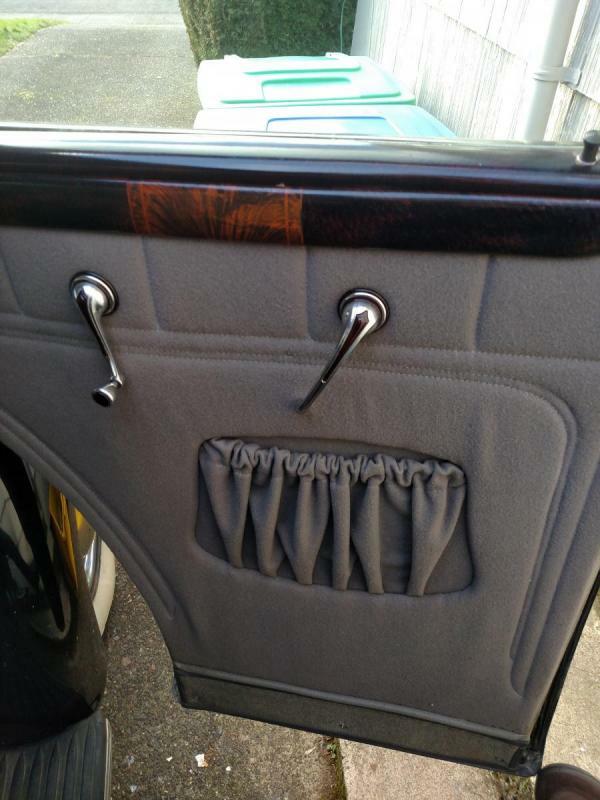 I am sure your inside door handles should also be slightly off of the fabric door trim. I suspect thicker escutcheons would solve your problem. 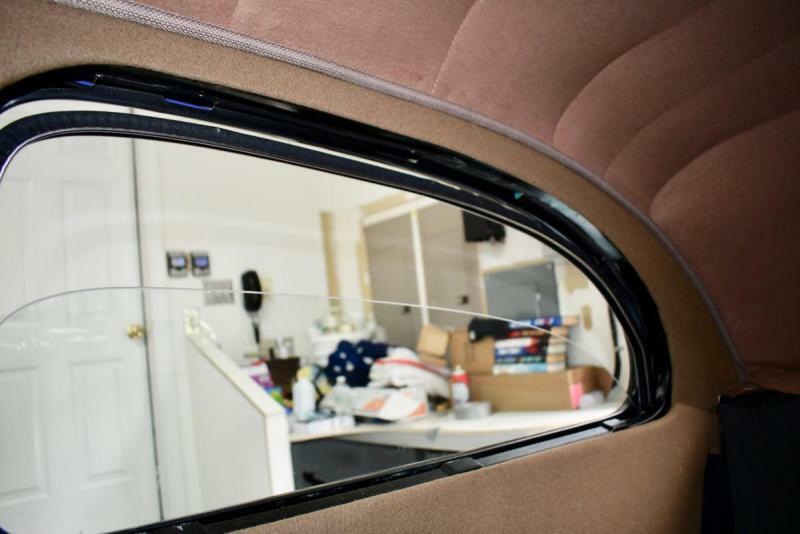 As for welting around the window garnish molding, on my car there is a piece of fabric that matches the door panel around the window, but I don't see any welting, unless that fabric is what you are talking about. 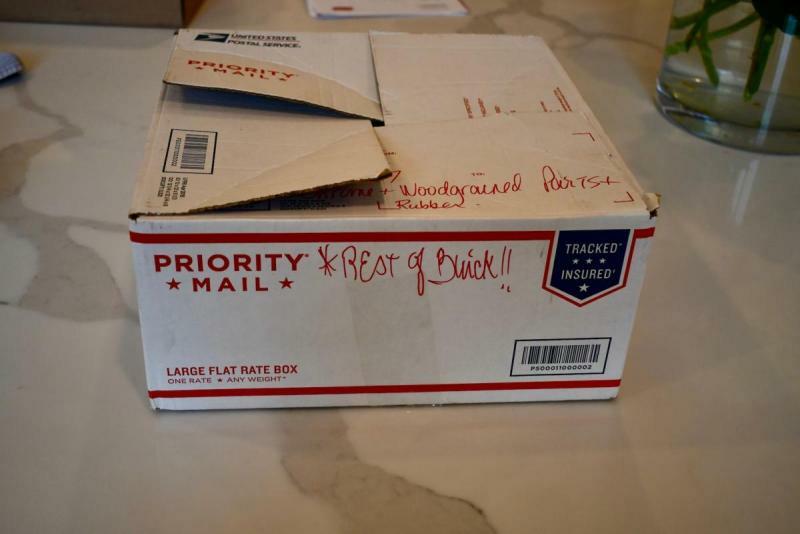 I would assume that if that is what you are talking about, the short pieces they sent you would be the correct length for the front doors of a 4 door sedan but are too short for your two door sedan. Thanks Matt! That's what I needed! Yes, that's the welt I was referring to. Looking great Gary. 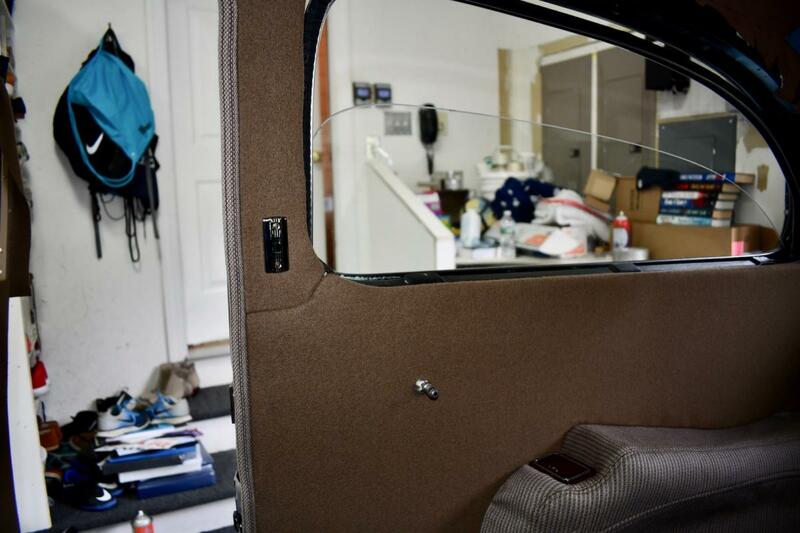 All inside door handles are usually mounted at 5 o’clock on the passenger side and 7 on the drivers side. This allows for a normal arm length to push the handle forward till it stops and for outward movement of the forearm to open the door. If you try it, you’ll understand. Any other position creates somewhat of an unnatural movement to open the door. 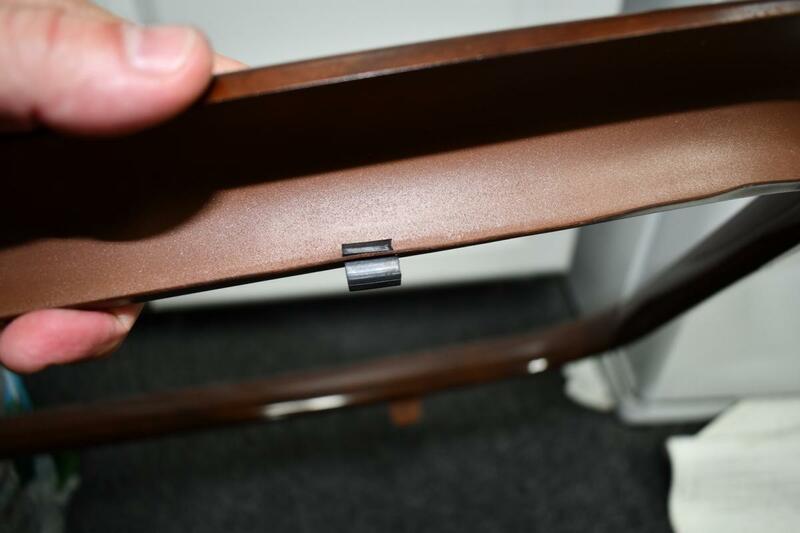 This is why you see factory pictures of the handles in those locations. 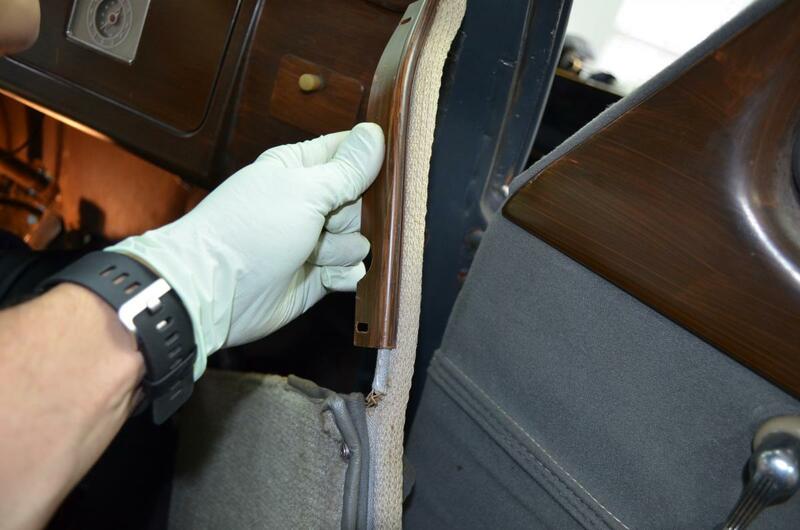 The handles hitting the fabric is an unfortunate circumstance which often happens with the new interior panels. The new fiber boards are often thicker than the originals to begin with. Often the new panels are slightly more stuffed than the originals compounding the problem. 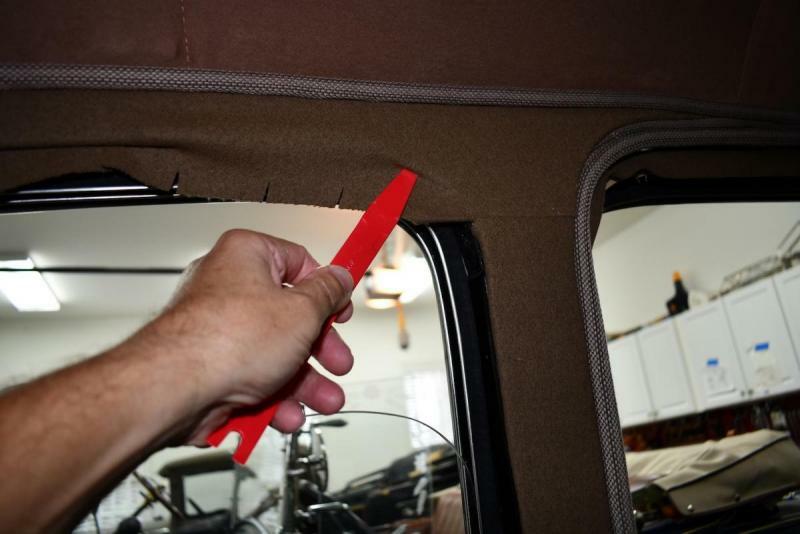 With the earlier cars, I often put a couple blind nails through the panel in the location of the handles and window cranks. 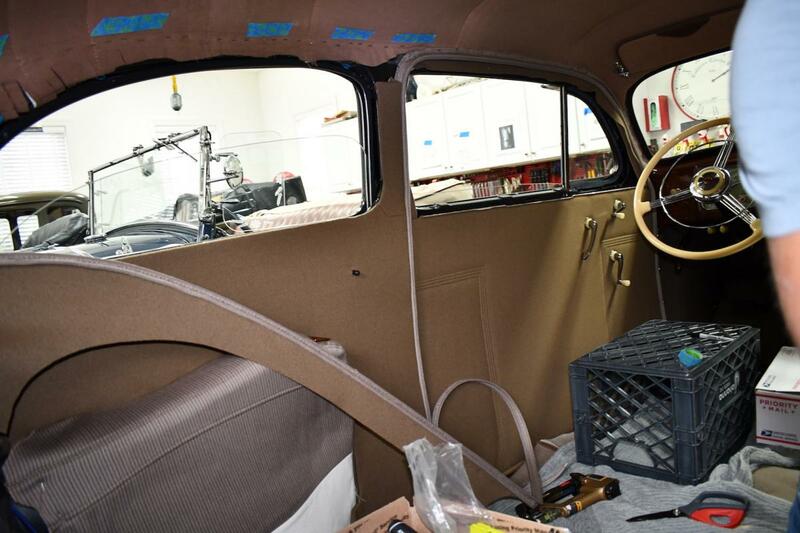 On the early cars, it’s the window cranks more than the handles that contact the panels. Often you’ll see wear circles around the cranks and that looks really bad. I would look at a way to pull the center of your panel in some. 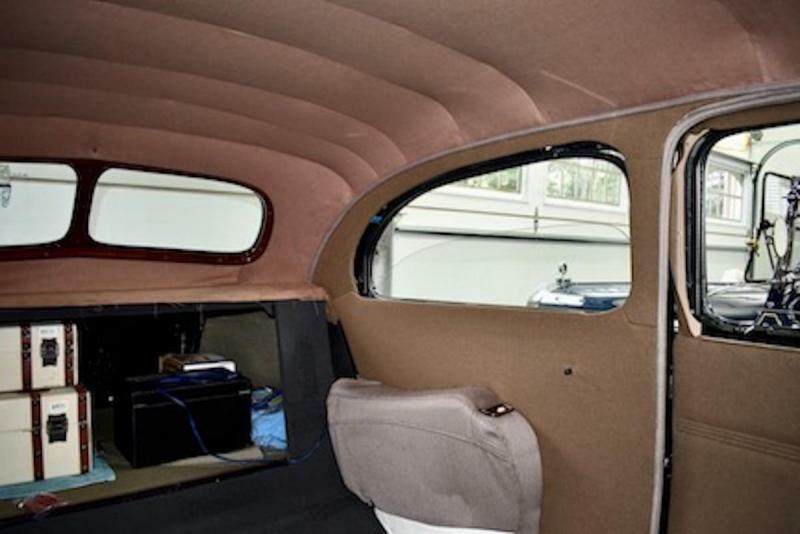 Not sure if there’s any wood in your doors in the center area to blind nail into. Just one or two nails would do the trick. 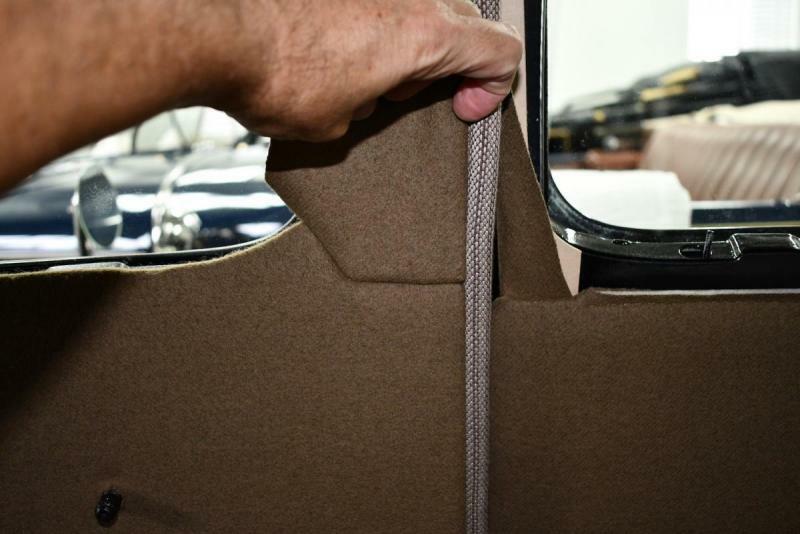 You can also try to pre-flex the panel in and fasten the sides with some side pressure towards the inside of the panel to help flex the panels in. Not sure if this is possible on your car, just techniques I’ve used in the past to help with your issue. Just realized after reading my post that I used the word “often” way too often!? Actually the way the doors and window cranks attach with the "jesus" clips the thicker escutcheons would actually do nothing. The cranks are set by the indentation in the spline that the "jesus" clip sits in. 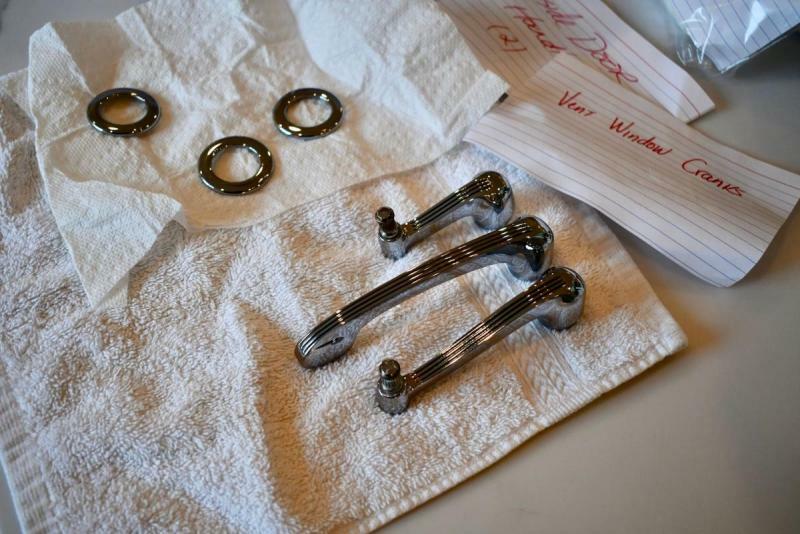 Thicker escutcheons would just make it harder to put the cranks and handles on. Just something from my experience. So if you want to get the door handle further off the fabric you have to get the spline out farther somehow. Again, started with the armrest. It had to be reupholstered in the new seat fabric that I'm getting. I had to use a strip of wood to help support the staples, but I got it all done. 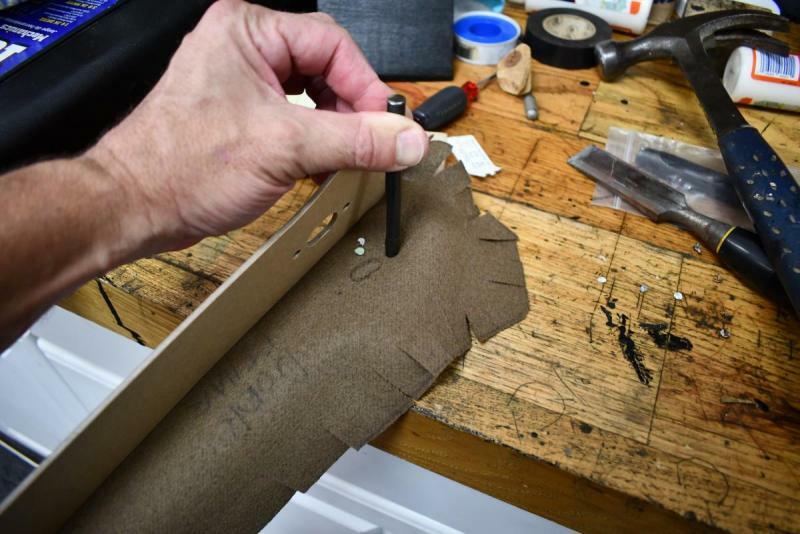 I always test the panel ON ITS OWN without the armrest to be sure the mounting holes align, the surfaces align. 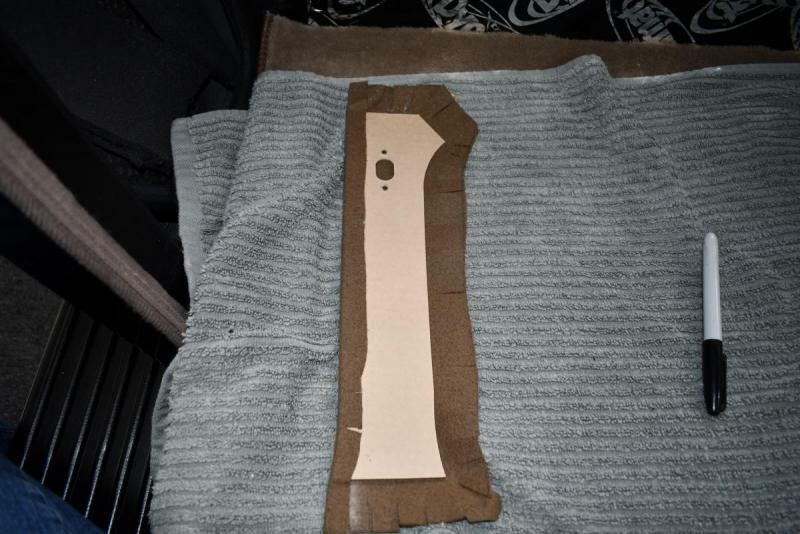 Just like the other side, I had to cut a hole for the fourth mounting tab in the body. This panel is only cut with three for some reason. Again, but this time I test fit the panel WITH the armrest, again to make any final trim adjustments down by the floor... to get it all fitting nicely. 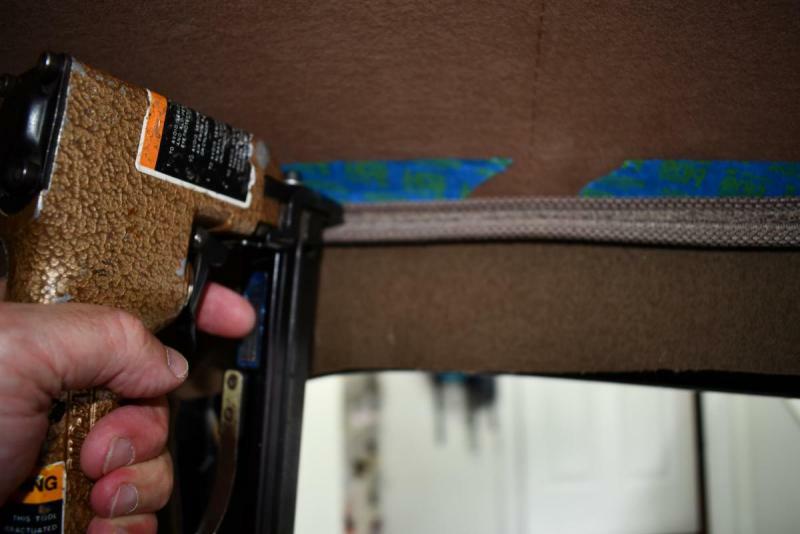 Align and throw the fabric over the armrest so you can staple the panel to the armrest flange and secure them together. Now that these are secured as one unit, I make the perimeter cuts to pull the fabric around the panel. I go all around, testing and testing before cutting too close to the panel. You don't want the cut to show. On the back side, I sprayed a border of headliner adhesive. Let is set 5 minutes. Once tacky, I started pulling the fabric tight and wrapped it around the perimeter of the panel. Back in the car, hooked on all the body hooks and aligned with the door windlace, I made the cut to expose the window riser handle. Then I bought over the pillar panel. I did this part FIRST yesterday because that side has a dome light and I wanted the holes to line up correctly. Today, I set the bottom panel in first, then this pillar. Here, I'm getting the forward edge tight to the windlace and measuring against the lower panel and the window opening. After trimming the cardboard, I went back to the car for a final check. Looks good. I made all the perimeter releasing cuts first using Ted's "rounded pizza slice" technique. 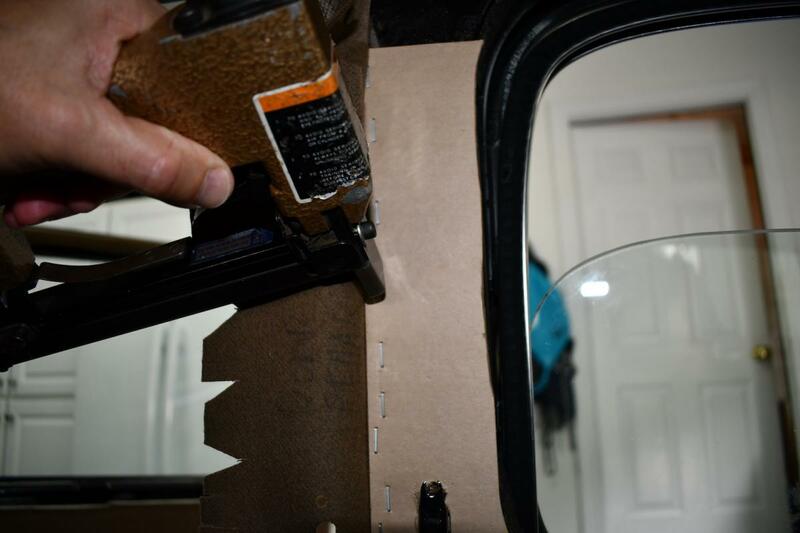 Then, like yesterday, I sprayed the headliner adhesive around the perimeter on the side that will stick to the car. Flap the fabric over and staple the leading edge through the windlace to secure the forward edge. 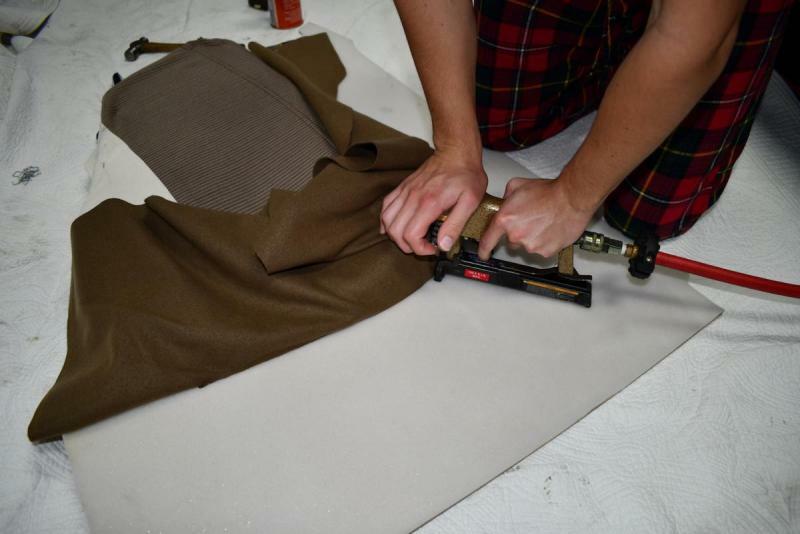 A little pressure and you can pull the lower panel away just enough to start pushing the fabric under the pillar panel. 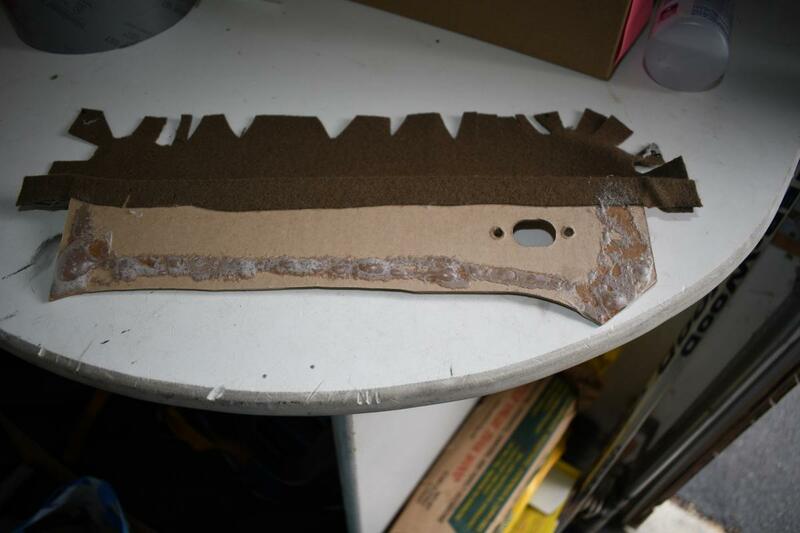 I used the thin, plastic tool and started smoothing the fabric under the panel. The adhesive is under there to hold it secure. And the pillar panel is nice and secure. 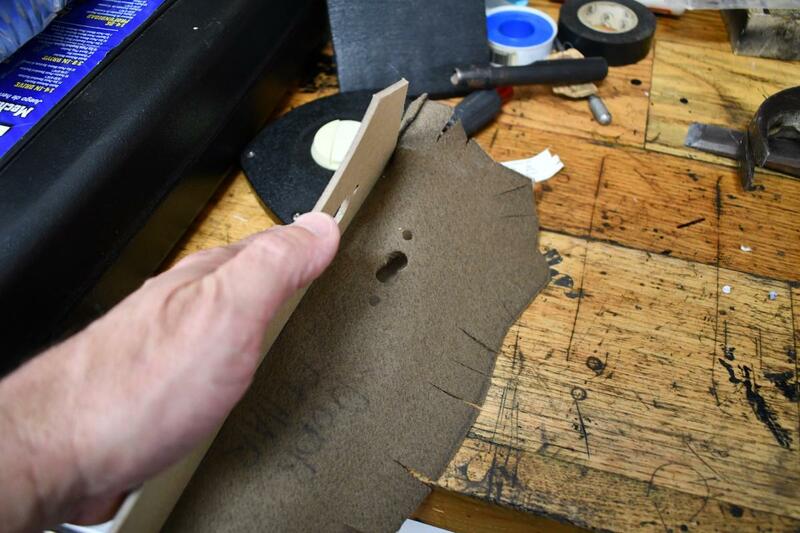 The seams line up very nice if you take your time and trim the cardboard carefully. I figured this seam is always visible so I wanted to be sure it really looked nice. Now for the upper panel with the attached headliner welt. Like yesterday, I started by marking out the roof tack strip with blue tape as a guide when I'm stapling. Again... 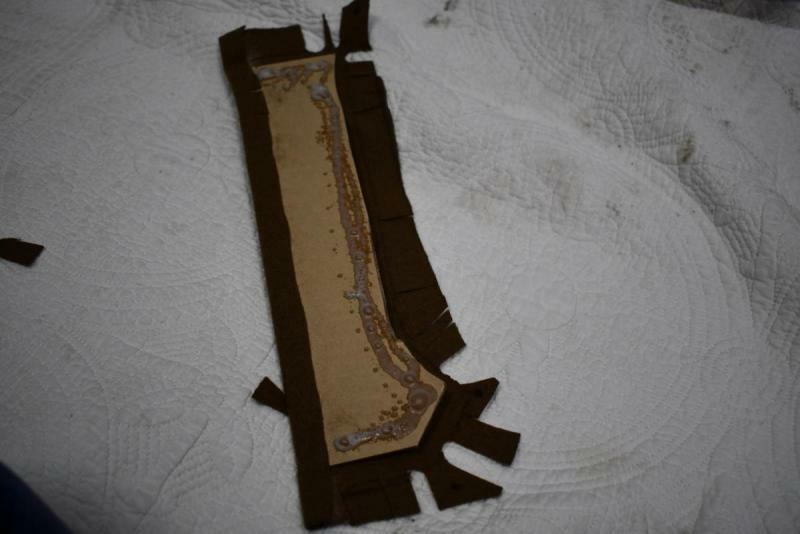 I start right at the most visible seam where the pillar panel meets the upper panel. 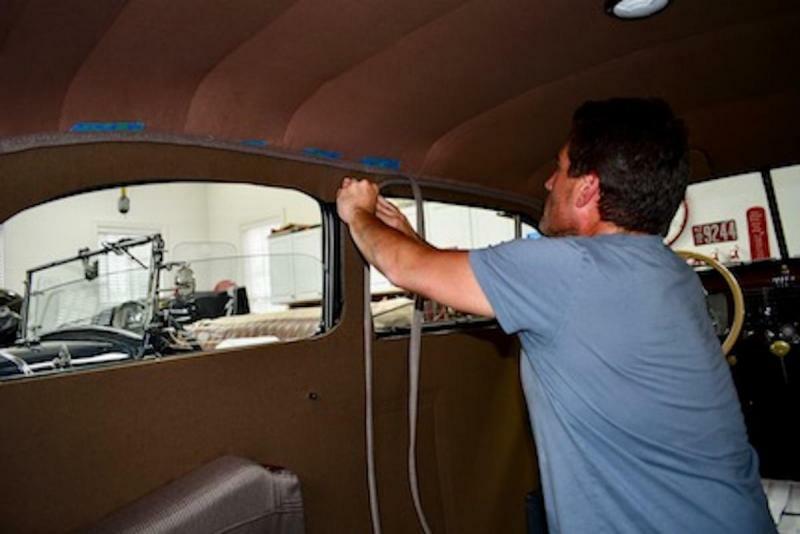 Working backward to secure the panel over the window, and then forward to secure the welting to the headliner, the panel is in. I made the releasing incisions with the panel in the car because I found it easier to know exactly where the window opening is. Nothing can intrude on the window opening or you won't get your garnish molding in there. Once the cuts are made, go around and tuck the fabric up under the panel. Once tucked in, the panel looks so much neater. 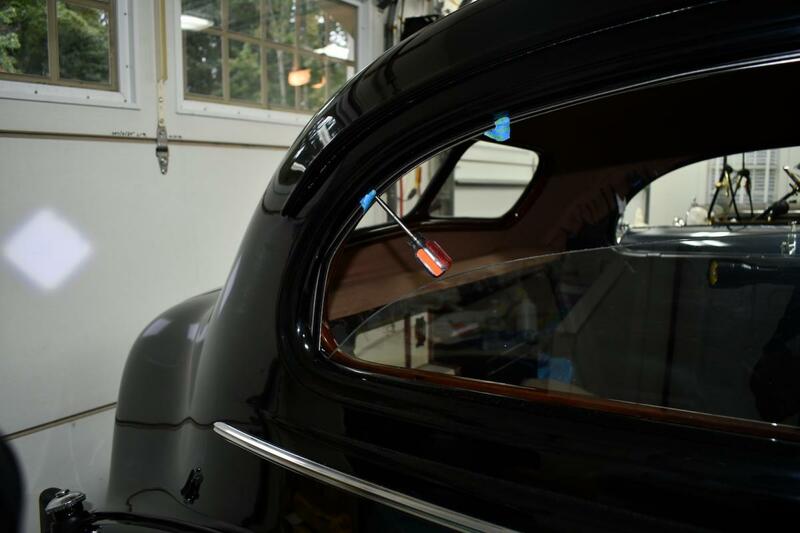 Install the rubber bumpers in the garnish molding. Remove all four window channel felt retaining screws so the garnish molding will slide in. 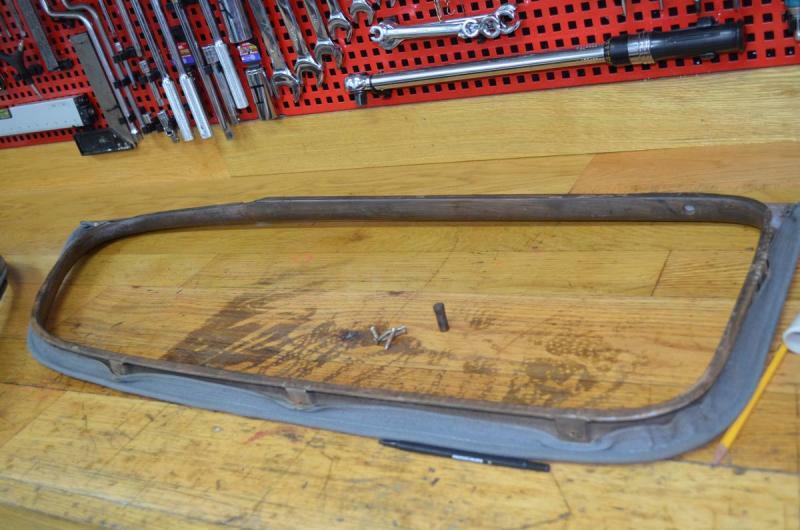 You need to push up hard, then the lower will jump over the steel frame and snap in place. 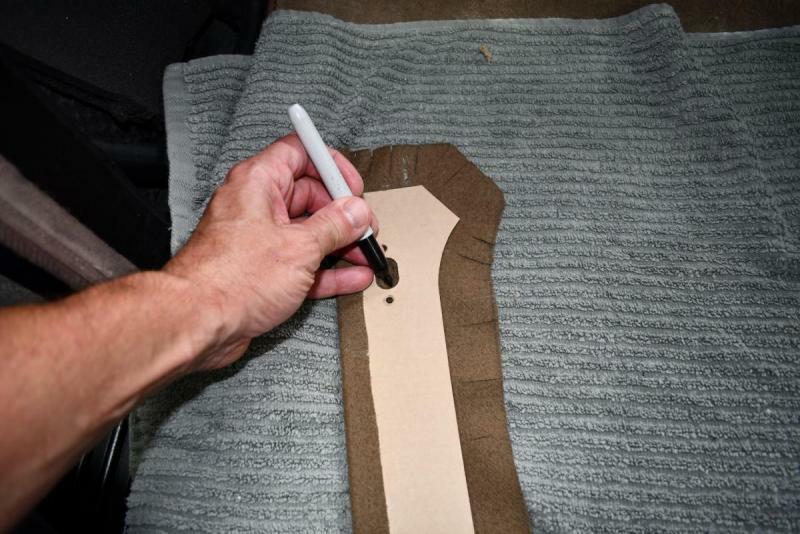 Carefully find the channel holes, the garnish holes and the body holes and replace the four screws. 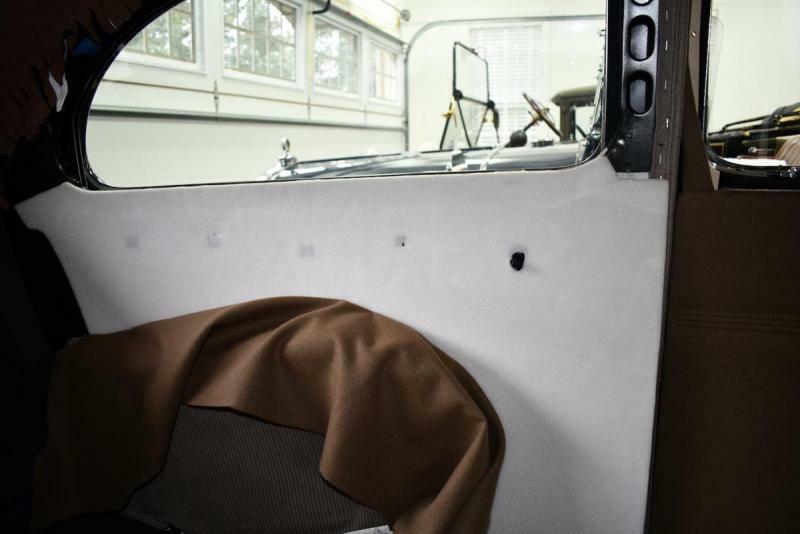 Window riser knob installed and the panels are in!!! As I said before, these kits come with NO instructions at all. 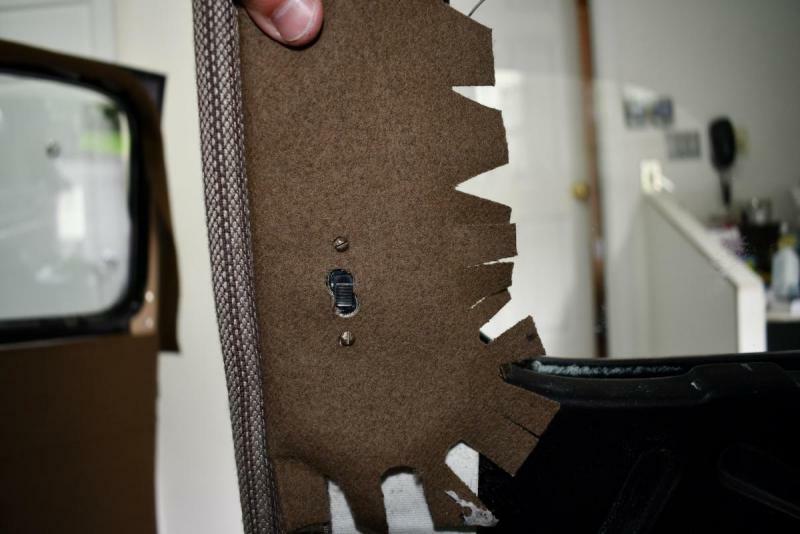 I hope by detailing the procedures in a step-by-step fashion it will help someone out. Of course, this is how I did it. I'm sure a professional installer knows the many tricks to the trade, but I hope I can give someone the confidence to tackle this job. 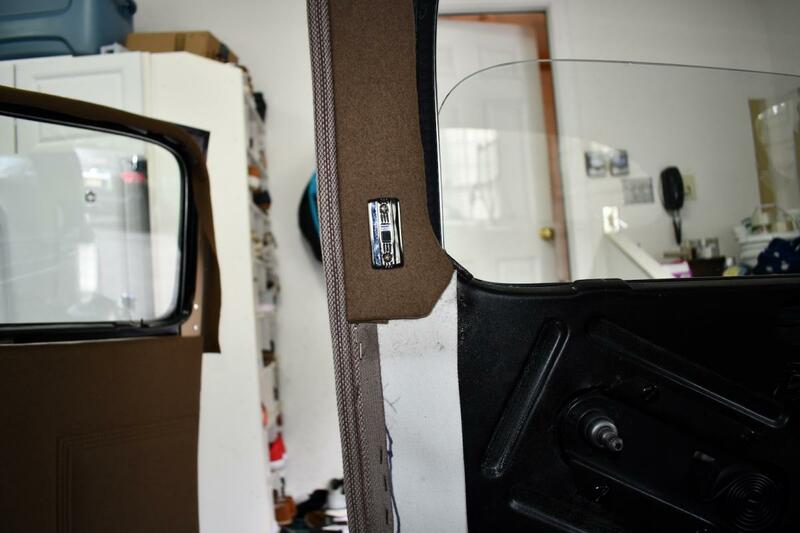 Tomorrow I want to install the front pillar windlace retainers, the front windshield garnish molding, the rearview mirror and hopefully the defroster vents. I can't install the front door garnish moldings yet until LBB sends the welting at 65" length. The ones they sent are about 6" short. 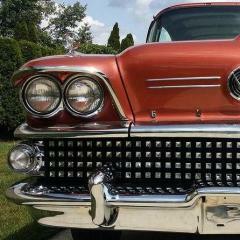 I realize that your mother-in-law in "only" 80, and your Buick is 81, but I suggest you proceed with caution! We all know you're frustrated by the delays that were beyond your control, but a few more days won't make a difference at this point! Take a deep breath. ?